Clients of The Lifestyles Team are given a COMPLIMENTARY 1 year home warranty or have their attorney fees paid for them if they buy AND sell their home with us! That’s one less thing for you to worry about and one more way that we go above and beyond to take care of our clients! Yes, you read that right…if you buy AND sell your home with The Lifestyles Team, we will purchase you a 1 year home warranty or pay your real estate attorney fees! Are you buying AND selling a home over $400,000? 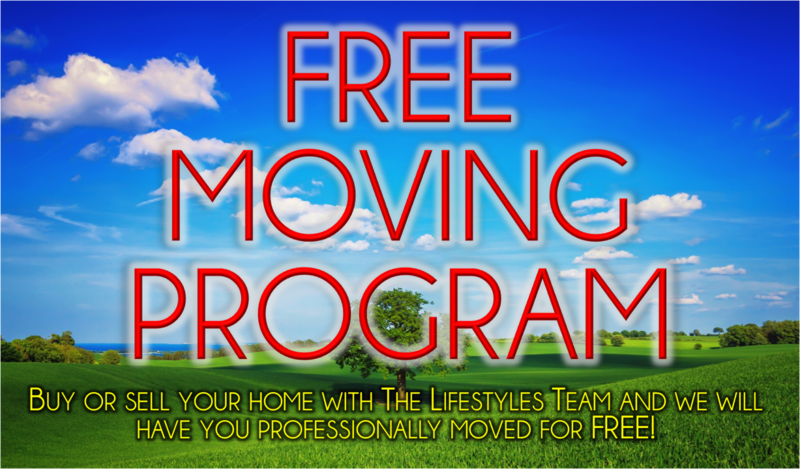 You can choose for us to have you professionally moved for free! Not only will you have your belongings professionally moved, but you will have the dedication and expertise of your local Real Estate EXPERT! * Terms & Restrictions Apply. Promotions do not apply to any sales under $100,000. One year home warranty must not exceed $500. Paid attorney fees only valid with the use of our preferred attorney and must not exceed $600. Moving service only valid for sales over $400,000. Cost of moving must not exceed 20% of the commission on your side of the transaction. Additional fees may apply for moves outside of northeastern Illinois. Only valid with our dedicated moving company and includes the loading and shipment from one local property to another local property with no more than a one day hold-over. Additional services can be purchased by client at their sole discretion. For all promotions, any cost over the approved amount will be the responsibility of the client. Not valid if any referral or relocation company fees exist. Promotions can be cancelled, suspended, postponed or otherwise modified at anytime.